ENUGU— Renowned prophet and fiery spiritual crusader, Anthony Nwoko has reiterated that nothing would stop the restoration of the Sovereign State of Biafra from becoming a reality. The cleric also insisted that not even President Muhammadu Buhari, Atiku Abubakar, Gen. Yakubu Gowon, Chief Nnia Nwodo, Gen. Olusegun Obasanjo or Dr. Orji-Uzor Kalu can stop Biafra, which he described as ‘the light of the world,’ from seeing the light of the day. He further said that, “If Buhari thinks he can pocket this nation for the whole world to be in darkness, he is making a great mistake, his time is up. God will set His people free. The Prophet pointed out that it had been revealed for over 30 years ago that Biafra would come to be in spite of what any man might do to set the hand of the clock back, adding that if other men of God would team up with him, the restoration would come sooner than latter. “The message of Biafra did not start today but over 30 years, it’s only that the men of God from the Southwest refused to acknowledge the presence of Son of Man since the year 1987. 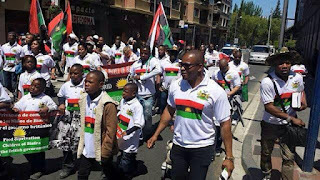 The prophet stressed that Biafra has been like a pregnant woman suffering birth pains more when the time of delivery is at hand. “The moment she delivers the child, the pains goes away. This child has been delivered in Biafra nation,” Nwoko declares. In stretching his optimism that the Biafra restoration is at hand, Nwoko said the Biafra flag must be flown in the newly-declared capital city of Jerusalem, Israel. 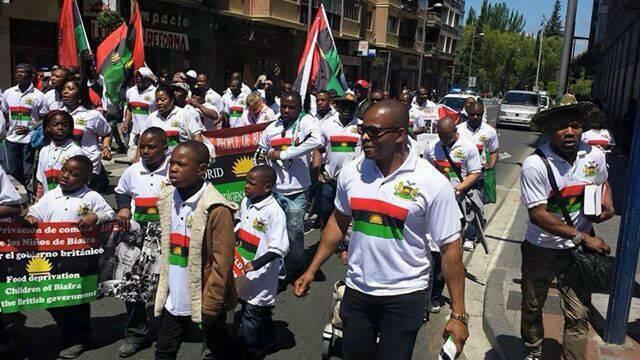 “Biafra flag must be flown in Jerusalem and Biafra is real for the world to see the glory of God. A new Jerusalem is born in Biafra nation and her flag must be flown in Israel because they are twins,” Nwoko foretells.